improve as I learn more. Enjoy and give me your feedback. - Change spacebar to Pause function. - Reset progress bar when seeks backwards. Feature request: Jogging by holding the physical L/R-shoulder-buttons or touching and holding the visual fwd/bwd buttons. Feature requests: On startup put the "playhead" to the recently played track and position, in order to quickly continue where you left, last time. Feature requests: Display name on all album covers without artwork, not only the central cover (currently playing). That gives you more overview / context, for browsing through your collection. 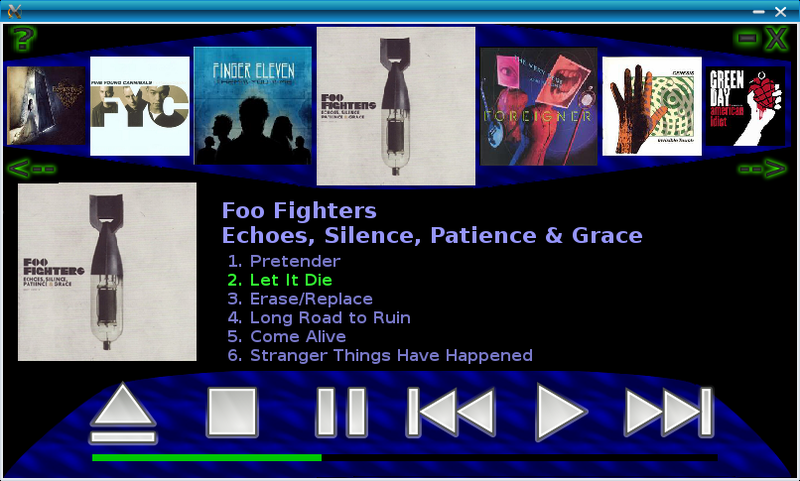 Feature requests: Display cover art embedded in the audio file.